Realtime Support Recovery Services offers Mobile, iPhone and iPod data recovery Services. Whether you need to recover your contacts, important text messages, photos or videos, we have the most advanced iPhone data recovery technology and best solutions for any iPhone data loss situation you are facing with, no matter what cause your iPhone or other mobile device to fail. We have the capability and expertise to recover data from any generation of Apple iPhones and other portable and mobile devices including iPads, iPods, Smart Phones, PDA, MP3 players, cameras and more. 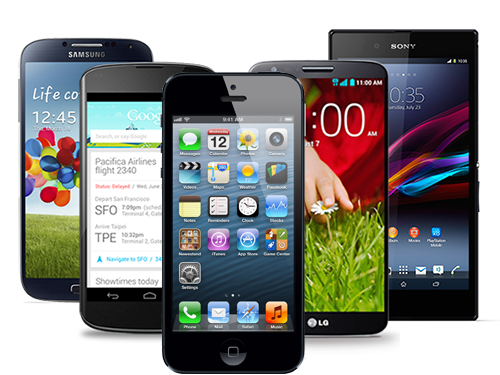 Our data recovery technology supports smart phones across all leading mobile operating systems and platforms including iPhone’s iOS, Android, Linux, Blackberry RIM, Java ME, Symbian, Windows Mobile and all others. We have been restoring and recovering lost, missing and inaccessible data since 1990. Our iPhone recovery specialists have the required expertise, experience and the specialized equipment to recover your lost photos, test messages, contacts or other information that you need to retrieve even in the most severe data loss situations. If your iPhone, iPad, cell phone, smart phone, iPod or any other mobile devices was subjected to physical damage, water damage, stopped working, broke, fell into the pool, run over by a car, caught fire, overheated, dropped on the floor or otherwise fail, don’t write off your data just yet. We have the technology to get your data restored and get you back up and running. Our iPhone data recovery experts are specially trained to retrieve data from Apple iPhones, iPads, iPods, smart phones and helped countless of iPhone and smart phone users to restore missing, lost, corrupted and inaccessible data and information and we can help you too. Realtime Support Data Recovery - Saving Data and Businesses Everyday, Nationwide. Copyright © 1990-2019 Realtime Support Data Recovery, a Division of RTS Group, Inc. All Rights Reserved. Don't Pay High Prices to LARGE DATA RECOVERY COMPANIES!... Start your Data Recovery, today! As of Apr 19, we currently have 3 appointments available!